Punjab government is all set to strengthen the ongoing health screening of all the children below the age of 18 years to provide comprehensive health care to every child in the state. Under Rashtriya Bal Swasthya Karyakram (RBSK), this initiative is aimed at early identification and early intervention for children from birth to 18 years to cover 4 ‘D’s viz. Defects at birth, Deficiencies, Diseases, Development delays including disability. First level of screening is done at all delivery points through existing Medical Officers, Staff Nurses and ANMs. After 48 hours till 6 weeks the screening of newborns will be done by ASHA at home as a part of Home Based New-born Care (HBNC) package. Outreach screening will be done by dedicated Mobile Health teams for 6 weeks to 6 years at anganwadis centres and 6-18 years children at school. Health Department has issued instructions to district health officers to coordinate with the school authorities before visiting the schools. Anganwari workers as well as health officers are also to ensure availability of free Health treatment forms in schools and anganwari centres. Schools and Anganwari centres are asked to advertise this scheme at a large scale through banners and pamphlets so that maximum population can derive the benefits. All the 27,05,914 Students of 19,971 Government and Government aided Schools in Punjab and 15,42,492 students of 26,179 Anganwadi Centers have been covered under this scheme so far. The team comprising of Medical Officers, dentists, ophthalmic officers, Psychologists testing the IQ levels of the children have been deputed by the government to make sure that the children get regular health checkups. Since the start of programme in 2008, as many as 3456 children having congenital heart disease and rheumatic heart disease have been referred to PGI Chandigarh and other tertiary hospitals for treatment and 2129 children have been operated. 294 cases have been referred for treatment of Thalassaemia to various Thalassemic societies in Punjab since the start of the programme. As many as 258 teams are working in Punjab and 328 AMO, 183 Pharmacist & 229 staff nurses have been recruited and are trained under this scheme. All referred AWC’s children & school going students are given free treatment in all CHC, SDH& DH for 30 diseases. Children who require tertiary level care are referred to Government Medical College, Amritsar, Faridkot & Patiala as per their convenience and If they require further referral for specialized care they are referred to PGI, Chandigarh. To reduce the waiting period and to provide timely treatment /surgery for heart diseases, Fortis Hospital, Max Super Speciality Hospital Mohali, Dayanand Medical College & Hospital, Christian Medical College & Hospital, Ludhiana are also empanelled. Children suffering from Thalassaemia are treated by seven Thalassaemic societies i.e. Three Govt. Medical College; Amritsar, Faridkot and Patiala, Dayanand Medical College & Christian Medical College Ludhiana, Civil Hospital Jalandhar & PGIMER, Chandigarh. Treatment of Rheumatic Heart Disease/Congenital Heart Disease is expensive but life saving, here are few success stories of children who are given lease of new life under RBSK. Seeret one year old R/o, Guru Nanak Mohalla, Bassi Pathana, district Fatehgarh Sahib, was born at Rajindra Hospital Patiala. When she was 5 months old, she started having repeated attacks of pneumonia. She was referred for surgery by Health Team during screening at AWC’s to PGIMER, Chandigarh for suspected heart. She was operated upon successfully for a hole in the heart. Now she is cheerful healthy girl achieving all milestones normally. 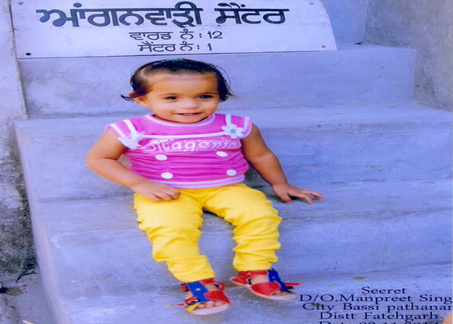 Sukhmandeep Kaur D/o, Gursevak Singh, one and half year old R/o, Dulladi, Tehsil. Nabha, Distt. Patiala. She was born at home and apparently normal at the time of birth. She started having fever and repeated attacks of pneumonia and was mobilized by ASHA to AWC’s for screening by Health Team. She was further referred to Rajindra Hospital Patiala where she was investigated and diagnosed with a hole in the heart. She was operated upon at Fortis Hospital Mohali on PGIMER rates. Now she is normal healthy child participating in all activities. 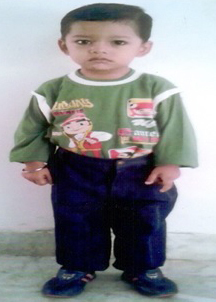 Case 3: Jashanpreet Singh S/o, Kewal Singh, 3 year old child, R/o, VPO Lakho Majra, district Patiala. He was born apparently normal in Mata Kaushalaya Maternity Hospital Patiala. 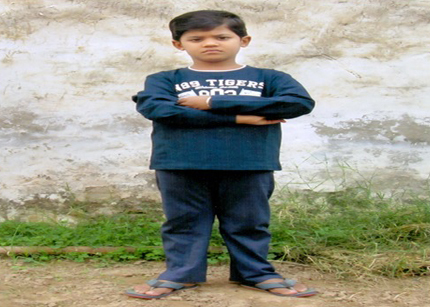 At 2 years he started having fever and loss of weight and was found to be anemic. He was referred through AWC’s with the help of ANM for further investigation and was diagnosed to be suffering from Thalassaemia. Now he is under treatment at Thalassaemic Society Medical College and Hospital Patiala. The regular expenditure incurred is taken care of under RBSK and his parents are not burdened with any out of pocket expenditure. Punjab Tourism offers a unique opportunity for tourists to stay at a farmhouse and experience the traditional Punjabi style of life. As the breadbasket of the sub-continent, Punjab’s fertile land plays central role in nourishing over 1.2 billion people. Now farmers of Punjab are looking beyond traditional farm enterprises to ‘Farm Stays’, an initiative to provide unique experiences to visitors, in association with Punjab Tourism. ‘Farm Stays’ are designed to provide an unforgettable escape that completely redefines the entire vacation experience besides acting as a gateway to Punjab’s heartland. Farm Stays are the perfect way to get back to nature and lose yourself in the beauty of Punjab’s picturesque countryside as farm owners themselves are serving as generous hosts as well as knowledgeable tour guides. The diversity of Punjab’s people and culture is encapsulated in the daily life of its villages. Enjoy a leisurely stroll through the heart of a typical Punjabi village and soak in the atmosphere. Enter the homes and get a firsthand look at the rustic lifestyle of the people. Spend time with local artisans and get hands-on lessons for making authentic handicrafts. Visit skilled potters, lohars (blacksmiths), tarkhans (carpenters) and embroiders and watch them creating some of their exceptional pieces of art. Learn about crop harvesting and animal husbandry. Stroll through tranquil communities and participate in local games. Meet the local artisans and visit grand temples, mosques and Gurudwaras with village elders. Hop on a tractor and take a ride through the farm’s fertile fields and fill your lungs with fresh air. Relax under the shade of a magical Banyan tree and savour the mouth watering cuisine of a homemade Punjabi feast. The popular Farm Stay sites approved by Department Of Tourism, Punjab include: Citrus County, nestled close to the Shivalik Foothills, it is a large well appointed villa within Chhauni Farms. It is a sprawling farm stay, with 3 rooms and tented accommodation, in the middle of 75 acres of kinnow plantations. It offers all the creature comforts as well as a taste of authentic Punjabi way of life. It is located just 5 km from Hoshiarpur city. Casba Farm Retreat Is a farmhouse situated in the midst of a guava orchard. Casba with 8 rooms, offers an experience of rural Punjab, including visits to a village and exposure to agricultural practices, leisure walks through fields and authentic Punjabi food while also providing the traveller with all comforts. It is located just 20 km from Chandigarh. Then there is Jyani Natural Farm which is a property with six rooms designed like a fort. The USP of this farm is the organic food they serve and the range of activities on offer such as swimming, archery, horse riding, bullock cart ride, tractor ride through the fields, fruit plucking, and cooking and juice/ jam making sessions. This popular Farm Stay is located in Ferozepur district. Another popular Farm Stay is Bharatgarh Fort, located on a hilltop in the foothills of Shivalik. It is the first fort in Punjab state that was opened for home stays. Bharatgarh Fort has 6 rooms and offers all modern amenities and experiences like walk in the forest, bhangra show, fishing and a day trip to Anandpur Sahib. It is located in Ropar district, around 60 km from Chandigarh. Other approved destinations include Virsa–The Heritage Farm (Dera Bassi), Mystic Meadowz (Mohali), Sarn Farm House (Gurdaspur), Mand Farm House (Roopnagar), Green Valley Farm (Nawashahar), Aura Vaseela (Dera Bassi),Deep Roots Retreat (Roopnagar), Gary Farms (Patiala), Green Acres Haveli & Retreat (Amritsar),The Kothi Farm (Gurdaspur), and Virasat Haveli (Amritsar). To take forward progressive agenda of imparting free and quality education to the poor but meritorious students the Punjab government is all set to start academics in three new Residential schools for meritorious students at Sangrur, Ferozepur and Gurdaspur. With the commencement of three new such schools the Punjab state would become the first state of the country which has been successfully running meritorious schools to impart free education to the poor and brilliant students. 7 meritorious schools have already imparting education to the 4850 students of the state. These existing meritorious schools have been built in the recent past with the cost of Rs. 258.17 crore. This ambitious project was envisaged by Mr. Parkash Singh Badal, Chief Minister, Punjab and from the academic session 2014-15 six Resdential senior secondary meritorious schools started education at Amritsar, Jalandhar, Ludhiana, Patiala, Bathinda and SAS Nagar (Mohali). In each of the school student strength were fixed 600 students of 11th and 12th standard students for Medical, Non Medical and Commerce streams. The 7th meritorious school was set up at Talwara (Hoshiarpur) from the academic session 2015-16 for only Arts stream. The facilities extended to brilliant students in these schools included free hostel, food and special coaching for the competitive examination. 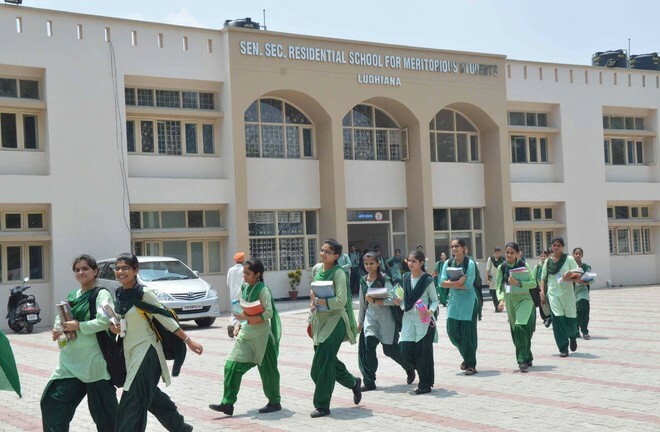 Punjab Government has opened these meritorious schools under the “society for Promotion of Quality Education for Poor & Meritorious Student of Punjab” for students from Government schools who have scored more than 80% marks in Matric. These schools are residential and affiliated to PSEB and are for 10+1 & 10+2 classes only with the aim of placing deserving students into professional colleges at the all India level. The students are provided free education, lodging/boarding, books, stationary & uniforms. The school routine is scheduled to ensure overall development with emphasis on academics. Punjab has taken rapid strides on the front of tapping solar energy as the solar power generation in last three years and it has now entered in next orbit with manifold increase in generation thereby attracting huge investments along with direct and indirect job opportunities. The interesting aspect of this unique growth story is that Punjabi farmers, who are known worldwide for their hard work and adaptability, have also joined hands now to till the Sun after making the country self reliant on food grains front. The solar policy for farmers has been made keeping in view the interests of small/marginal farmers having land holdings on the borders or in the unproductive areas of Malwa and Majha. Farmers owning such land holdings were suffering due to its non productivity, paltry contract value and now feeling happy to become partner in a scheme in which they would get assured regular income for next 25 years with 5% annual increase besides assuring their majority partnership in the project. Punjab government’s new farmer scheme got tremendous response as against the tendered capacity of 500MW, firm commitments of 629 MW were received. This response is a confirmation of the fact that enterprising farmers of Punjab have opted a novel way of diversification that would be copied by farmers of other states in near future. Punjab has also successfully organized a first ever Solar Summit in the month of July, 2015 where top solar players including foreign solar giants had participated and were of the view that Punjab has one of the best solar power promotion policy in the country. The most interesting part of successful solar power policy of Punjab was that right from a small farmer having land holding of 4 acre to multinational companies including Adanis, Wellspun, Essel, Azure etc. , they are now equal partners in the Solar revolution being ushered in by tiny state having just 2% geographical area of the country. Punjab is all set to increase its green power generation from 9 MW to 1550 MW (172 times) in just three years, setting a new national benchmark and farmers are playing active role under the dynamic leadership of New & Renewable Energy Minister Mr. Bikram Singh Majithia, Punjab.